This Vigan Empanada is Dubbed the "Original Empanada"
They have a Manila outlet, too! A trip to Vigan is not complete without having your fill of the town’s signature empanada paired with sukang Iloco (vinegar from Ilocos). If you visit the public market or walk along Calle Crisologo and the surrounding streets, you’ll find numerous stores selling this famous delicacy. 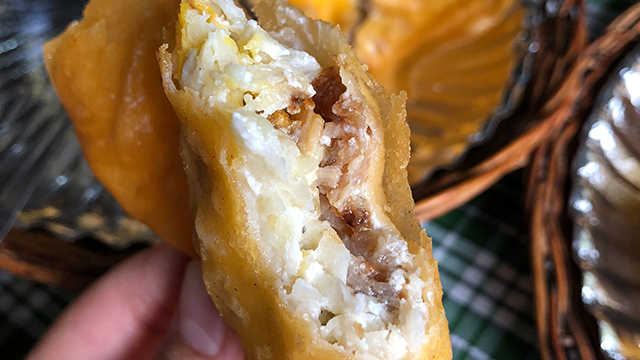 The Vigan empanada is typically made up of eggs, shredded papaya, and your choice of meat, such as pork longganisa or bagnet. But each cook tweaks the recipe a little bit, so you’ll probably find slightly different versions of the empanada in town. Have a leisurely walk along Calle Crisologo's rustic surroundings. It’s hard to say which version is truly the best since we all have different tastes. 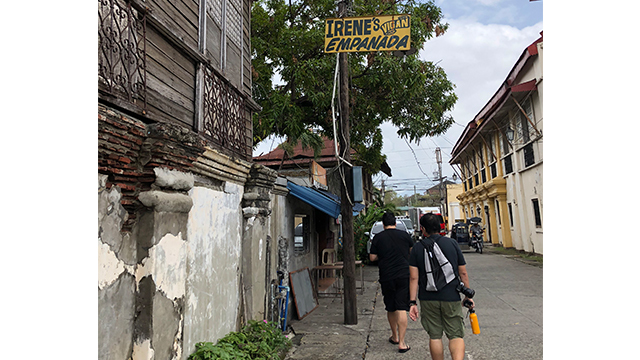 But when we headed to Vigan one weekend, we found Irene’s Vigan Empanada, a store that’s been around for decades, with a secret recipe that has been passed down for generations. 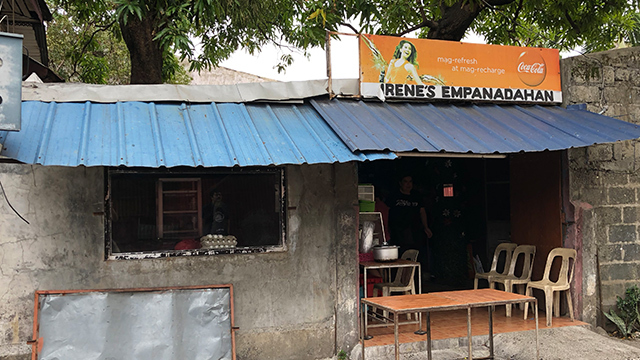 Look for the little yellow signage that says Irene's Vigan Empanada! Come inside for a bite of Irene's delicious empanadas! Ate Irene invites us into the kitchen to watch her make the empanada. (If you happen to pass by her restaurant, you can also look into the kitchen through a glass window facing the street.) 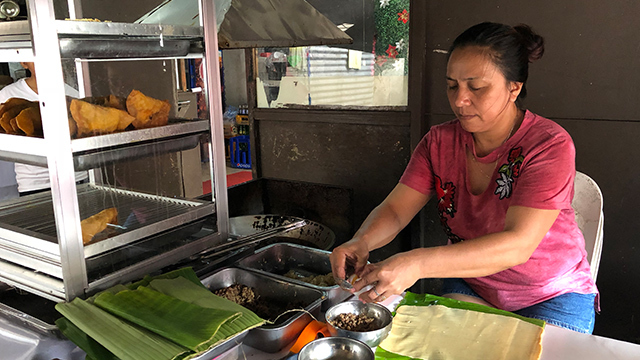 We chat with her and watch as she quickly flattens the dough on a banana leaf, add the papaya, the meat, and the egg yolk, then folds the dough over to seal in the ingredients. 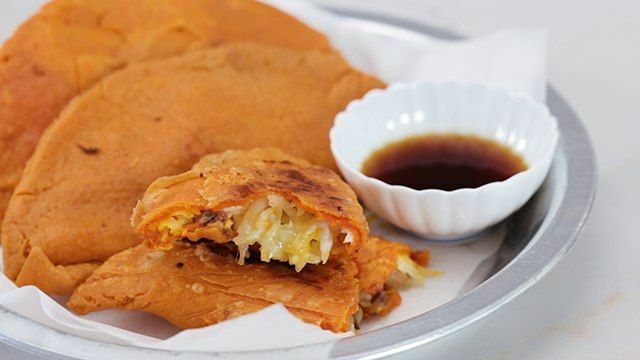 She cuts off the excess dough using a plate, then slides the empanada into a deep frying pan. Once it’s ready, she picks up the cooked empanada with a pair of tongs and places it on a rack to get rid of the excess oil. Ate Irene prepares the delicious filling of the empanadas. Don't forget to dip it in sukang Ilocos! 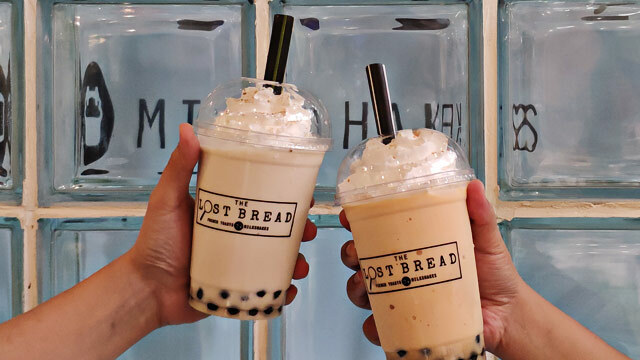 Over the years, their menu has grown to include fillings aside from the usual pork longganisa and bagnet. Other fillings include sisig, beef, chicken, tuna, crab, and adobo flakes. You can also opt to have double egg, double meat, or a combination of different meats. Vegetarians can choose to have no meat at all and still enjoy the empanada’s crispy goodness. If you’re particularly hungry, order the Combo Jumbo for a super-sized meal! Let Ate Irene know what fillings you would want in your empanada! 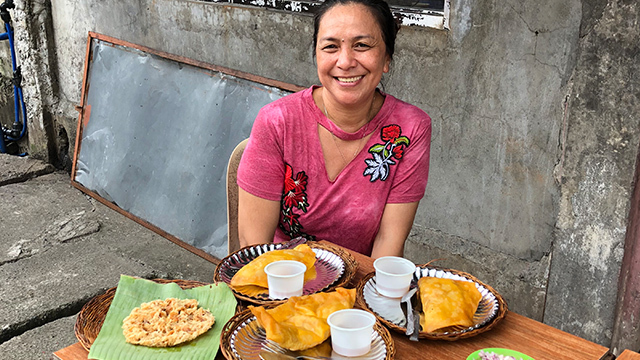 Just as Irene’s grandmother passed on the recipe to her children, Irene has also passed on the secret to her daughter, who now resides in Metro Manila. 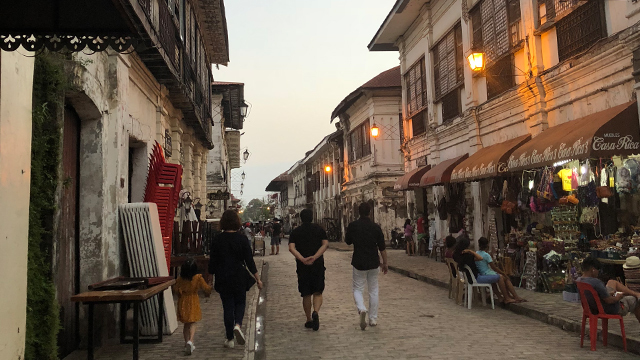 Since they’ve put up a branch in Pasig City, Manileños can now enjoy freshly cooked Vigan empanada, Vigan longganisa, and bagnet without having to drive seven hours. In fact, you don’t have to drive at all since they also deliver! And because Irene sends ingredients all the way from Vigan, you can be sure that each dish tastes truly authentic and original. Irene’s Vigan Empanada is located at 11 Calle Salcedo, Vigan, Ilocos Sur. Call (077) 674-0279 or visit https://www.facebook.com/irenesviganempanada. Irene's Vigan Empanada-Pasig Branch is located at 20 Mabini Street, Kapasigan, Pasig City (beside Fashion Circle). Store hours are 9 a.m. to 8 p.m. For inquiries and deliveries within Metro Manila, call (0916) 200-7863 or visit https://www.facebook.com/irenesviganempanadapb. Always wanted to try making this at home? 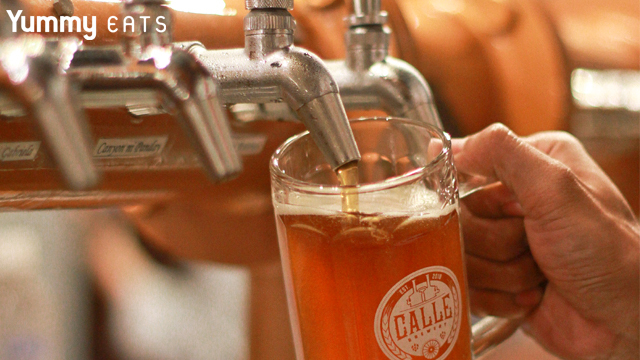 Have your fill of freshly brewed beer paired with smoked meats and seafood at Calle Brewery! 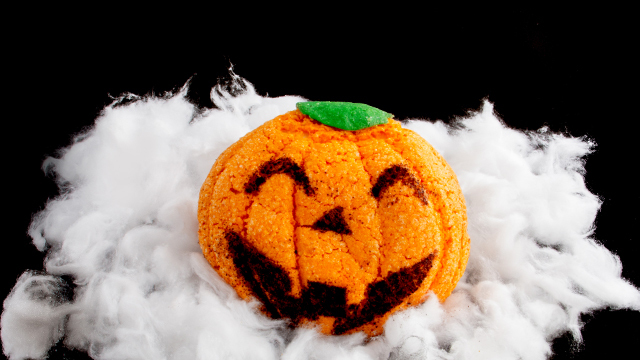 These Pumpkin Buns Are The Only Treats You'll Need This Halloween! This Cookbook Has 100+ Kitchen Hacks That Will Make Life Easier!